The House Intelligence Committee will release transcripts of testimony to the Trump-Russia investigation of Special Counsel Robert Mueller. Under Republican chairs, the Committee had withheld the transcripts. But Democrat Adam Schiff (pictured) took over on January 3 after the party won a House majority in last November’s mid-term elections. Following a Committee vote on Wednesday, more than 50 transcripts will be sent to Mueller, including those of Donald Trump Jr. and Trump’s son-in-law Jared Kushner. The Committee also plans to release the transcripts to the public after they are examined by US intelligence agencies for redaction of classified information. 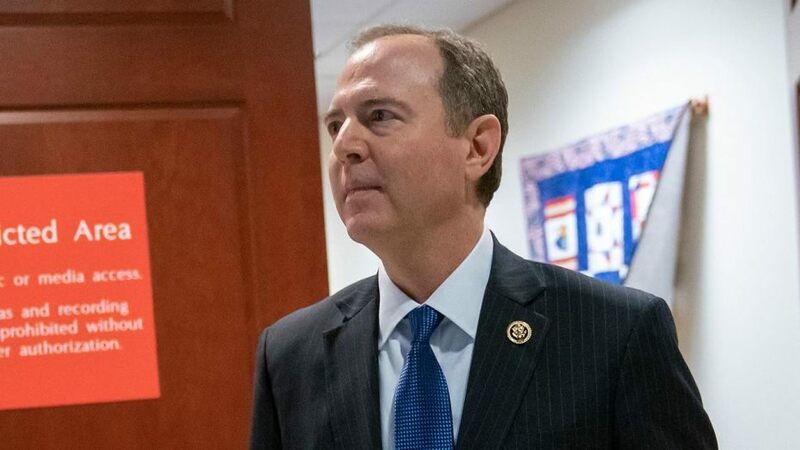 Schiff outlined “five interconnected lines of inquiry”, now that the barrier of Republican control — including that of Committee chair Devin Nunes, who collaborated with the White House to the point where he had to recuse himself formally — has been lifted. *Whether any foreign or domestic actor sought or are seeking to impede, obstruct, and/or mislead authorized investigations. Schiff wrote, “Congress has a duty to expose foreign interference, hold Russia to account, ensure that U.S. officials – including the President – are serving the national interest and, if not, are held accountable.” He said he hoped for cooperation from Republicans on the Committee. Donald Trump reacted angrily on Twitter and in comments to reporters. Trump falsely said that Schiff had acted after “having found zero Russian Collusion” and claimed that “Dems and their committees are going ‘nuts'”. He said they were “even stealing people who work at White House” for the “continuation of WitchHunt”. A Committee aide said Thursday that Schiff has hired officials with experience at the National Security Council to help with the panel’s work. Trump later took shelter in the comment of the Republican chair of the Senate Intelligence Committee, Richard Burr, that it has found no evidence of collusion between the Trump campaign and the Russians. NextEA on talkRADIO: Trump Coming Back to UK?